With the invitation to convert ourselves to Christ by harboring his grace and by sharing his love with our neighbor. 1) Conversion and good news. Today, the liturgy of the Mass proposes a passage from the evangelist St. Mark who – with a bare and essential style – summarizes the whole message of Jesus Christ with the words “the Gospel of God”. This divine, good and happy news is proclaimed in Galilee, a region bordering the land of the pagans. In this way, it is underlined the perennially missionary dimension of the announcement. The grandiose novelty of the expression “Gospel of God” risks escaping us who are far from the experience of the first readers of Saint Mark. The Greek word “gospel” is translated with the expression “good news”. It sounds good, but it remains far below the magnitude of the word “gospel”. This word belongs to the language of the Roman emperors who considered themselves lords of the world and its saviors and redeemers. The proclamations emanating from the emperor were called “gospels”, regardless of whether their subjects were happy news or not. What comes from the emperor – it was the underlying idea – is a salvific message, not simply news but the transformation of the world towards the good. Writing the “Gospel of God”, St. Mark teaches that emperors are not the saviors of the world. The true savior is Jesus whose name means “God saves”. Christ is the Word of God and he is manifested as an effective word. In Him and for Him really happens what the emperors claimed without being able to realize. Therefore, a “Gospel” is no longer the announcement of the victory of a powerful one over his enemies. The “Gospel of God” is not the proclamation of the victory of a strong man who has defeated a weak man. It does not concern the joy of someone and the crying of others. The “Gospel of God”, the happy announcement, no longer concerns the powerful in turn. The happy “good news” is proclaimed by Jesus, meek and humble at heart. This good news is proclaimed in the name of God-Love, it is God himself who in Christ makes himself present in the world and in history. The phrase: “Proclaiming the Gospel Jesus said: ‘Time is complete and the kingdom of God is near; convert and believe in the Gospel “(Mk 1: 14) could be reformulated as follows:” Proclaiming the good news, Jesus said:” The auspicious time has come. The Kingdom of God is near. Convert and believe in the good news’ “. The meaning of this sentence is not: “Make your moral conversion and then believe in the good news”, but rather “Accept the good news with living faith. Doing so, all your way of thinking, wanting, and acting will be changed “. Let us become converted to Christ by recognizing him as the Way, the Life, and the Truth, and as the person in whom the Father makes visible all his love. 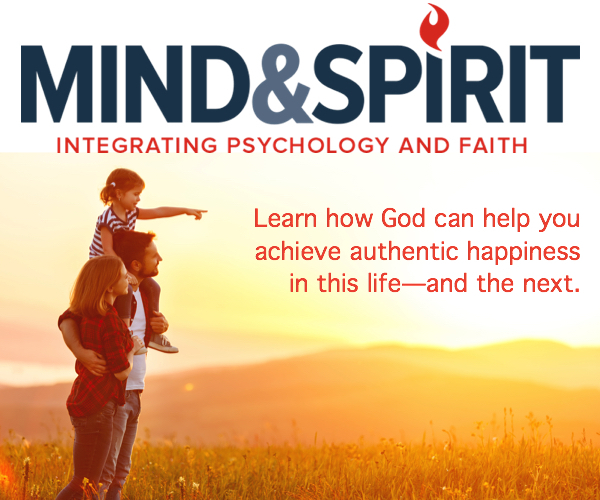 In short, if we convert by changing our mind and heart we can believe in the joyful and good news that God is among us. In a sense, to convert is to see beyond, to have a look that goes beyond. In fact, the word converting translates the Greek word which literally means “looking beyond”, therefore, understanding beyond appearances the true meaning of things. 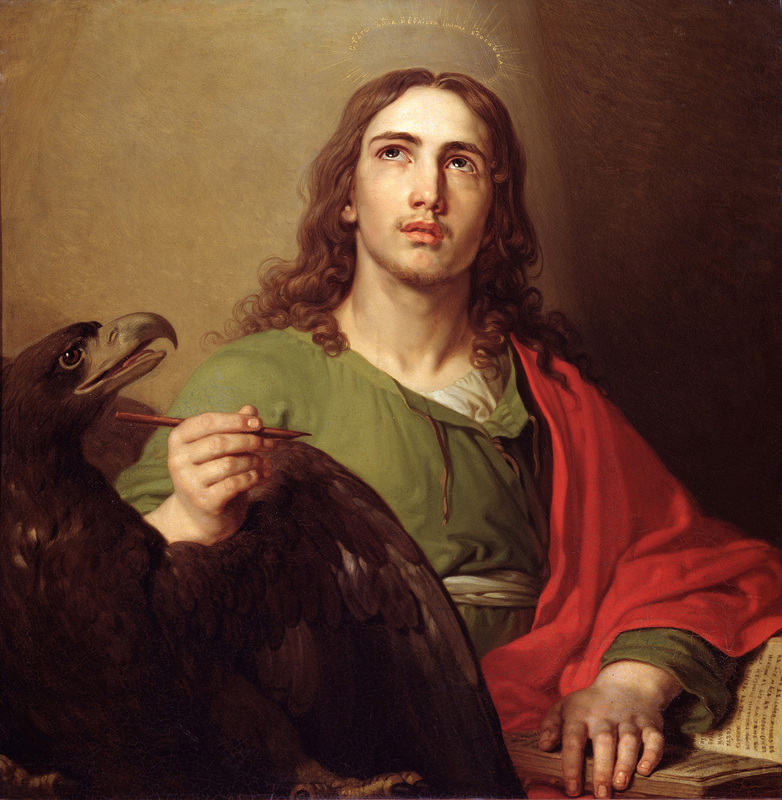 Also St. John the Apostle and Evangelist introduces the commandment of conversion that asks to love the others as Christ loved us, with the power of the Gospel of joy and with the announcement of the good news: “I have told you these things, so that my joy dwell in you and your joy be full. This is my commandment: love one another as I have loved you “(Jn 15: 11-12). If we are converted to Christ, who invites us to abide in him to make his glad tidings dwell in us, we will always better understand that the true meaning of God’s commandment is not to be an imposition but a communication of love. The “command” to convert is an invitation of love, which Christ addresses to his disciples so that they can enter into communion with him and accept his offer of friendship. 2) Conversion and the following of Christ. If conversion is to dwell in Christ and follow Him, it means that this “being in Him” is a verb of movement. There is an idea of movement in conversion, as in the motion of the sunflower which every morning raises its corolla and sets it on the paths of the sun. “To convert” means “to turn towards” the light because the Light is already here. In fact, communion with Him implies following Him. Christ is not so much a Word to hear or to read. He is the Logos, that is, the Word that gives meaning (understood as direction) to our life and light to our steps. When St. Mark writes that Jesus “passing along the Sea of Galilee saw Simon and Andrew, Simon’s brother,” He said to them: ‘follow me'”. He did not say: “Learn” because the first characteristic of the Christian disciple is to “follow”. In fact, the verb, which usually accompanies the word disciple, is to learn. Instead, using the verb to follow, the Gospel emphasizes that, in the first place, there is not a doctrine but a way of living that implies walking with the Master, identifying oneself in him. The evangelical following is never a call to stand still but to walk. The evangelical call is an invitation to go out, to go towards the world and the mission. If the following does not imply a “going after Christ”, it means that we only follow ourselves. The evangelical sequela is different from those sequences that instead invite to separate from the others and withdraw in ourselves. Thus, the novelty of existence begins: going after Christ who calls and proposes himself as the path to life for his disciples, we included. Jesus sees and speaks to two people, the quality of the relationship he initiates is a sign of the novelty of Love. “Come after me, and I will make you fishers of men” means that Jesus asks Simon and Andrew to convert not doing who knows what, but following him and making sure that the mission of salvation of Christ becomes their vocation. The vocation to conversion is to enter into a relationship with him, to let be loved by him and to take his love and his truth into the world. Jesus asks to respond to his Love: Jesus loves and asks to be loved. Here it is: the novelty of history is the beginning of the relationship of Love, aimed at tasting Love and introducing Love in every moment, in every action in which life unravels. This is the “conversion” that Jesus asks: not making life a means to do things, but living life in such a Love so that everything lives. 3) The sequela of the consecrated Virgins. An example of living the reality of disciples following Christ is given to us by the consecrated Virgins. With their gesture of offering themselves to the Lord Jesus, these women testify that following Christ is to imitate Jesus chaste, poor, and obedient, begging him to be made capable of loving with His love, of giving with His Heart, of serving with His light, and of working with His gifts. With their consecrated life they testify, first of all, that the initiative belongs to Christ and that his call is free. Secondly, they show that it is possible to respond to the call of Jesus even if it involves such a radical and profound separation that St. Mark speaks of abandonment of the father and of the work. Abandoning the trade and the family is like being uprooted. But it is worthwhile because in this way one can root oneself in Christ. Their life pushes us to make our own the prayer that the priest today says at the beginning of the Mass: “O Father, who in your Son have given us the fullness of your word and your gift, let us feel the urgency of convert us to you and to adhere with all our soul to the Gospel, so that our life may also announce to the doubtful and distant the only Savior, Jesus Christ “. Following the example of the consecrated Virgins, each of us, every morning, at every awakening, is able to say: “I too can ‘convert’, I can and must move thoughts, feelings, and choices towards God so that He may enter more into my heart and that of the world. Theophylact: As the Evangelist John relates, Peter and Andrew were disciples of the Forerunner, but seeing that John had borne witness to Jesus, they joined themselves to him; afterward, grieving that John had been cast into prison, they returned to their trade. Remig. : For by the net of holy preaching they drew fish, that is, men, from the depths of the sea, that is, of infidelity, to the light of faith. Wonderful indeed is this fishing! for fishes when they are caught, soon after die; when men are caught by the word of preaching, they rather are made alive. Theophylact: For we must not allow any time to lapse, but at once follow the Lord. After these again, He catches James and John, because they also, though poor, supported the old age of their father. We must, therefore, understand that the transaction which Luke intimates happened first, and afterward that they, as their custom was, had returned to their fishing. So that what Mark here relates happened afterward; for in this case they followed the Lord, without drawing their boats ashore, (which they would have done had they meant to return,) and followed Him, as one calling them, and ordering them to follow. Pseudo-Jerome: Further, we are mystically carried away to heaven, like Elias, by this chariot, drawn by these fishers, as by four horses. On these four corner-stones the first Church is built; in these, as in the four Hebrew letters, we acknowledge the tetragrammation, the name of the Lord, we who are commanded, after their example, to “hear” the voice of the Lord, and “to forget” the “people” of wickedness, and “the house of our fathers’ ” (Ps 45,10) conversation, which is folly before God, and the spider’s net, in the meshes of which we, like gnats, were all but fallen, and were confined by things vain as the air, which hangs on nothing; loathing also the ship of our former walk. For Adam, our forefather according to the flesh, is clothed with the skins of dead beasts; but now, having put off the old man, with his deeds, following the new man we are clothed with those skins of Solomon, with which the bride rejoices that she has been made beautiful (Ct 1,4). Again, Simon, means obedient; Andrew, manly; James, supplanter (ed. note: Cf. vol i, 139, 140, 364); John, grace; by which four names, we are knit together into God’s host (ed. note: Al. ‘in imaginem’); by obedience, that we may listen; by manliness, that we do battle; by overthrowing, that we may persevere; by grace, that we may be preserved. Which four virtues are called cardinal; for by prudence, we obey; by justice, we bear ourselves manfully; by temperance, we tread the serpent underfoot; by fortitude, we earn the grace of (p. 24) God. Theophylact: We must know also, that action is first called, then contemplation; for Peter is the type of the active life, for he was more ardent than the others, just as the active life is the more bustling; but John is the type of the contemplative life, for he speaks more fully of divine things.